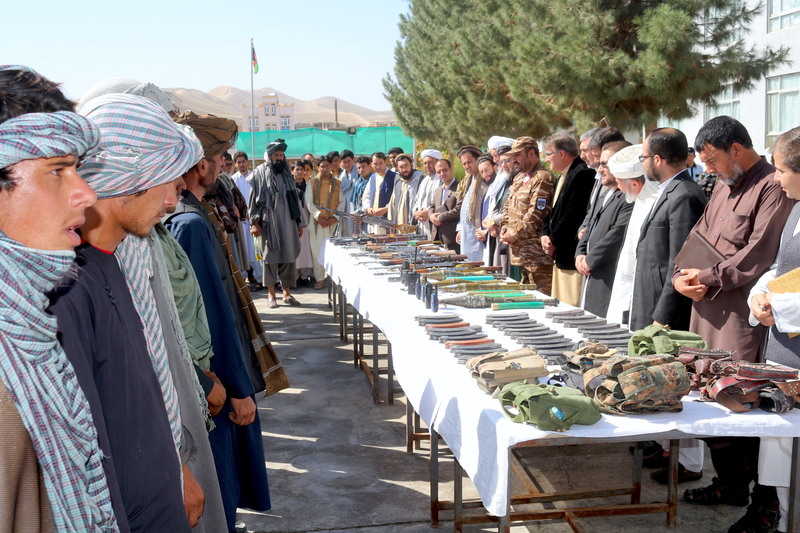 Farah Province officials in an undated photo show weapons that troops seized from the Taliban during September 28 operations in the province. [Farah governor’s press office]. KABUL -- Russian support has been flowing to the Taliban and Haqqani Network in western Afghanistan for at least two years, security sources and officials in the region told Salaam Times. Such support, including weapons and ammunition deliveries and training by Russian advisers, was previously reported in the north. This revelation comes amid an uptick in violence in Afghanistan, where Taliban and other militant attacks claimed at least 200 lives in the past week alone. 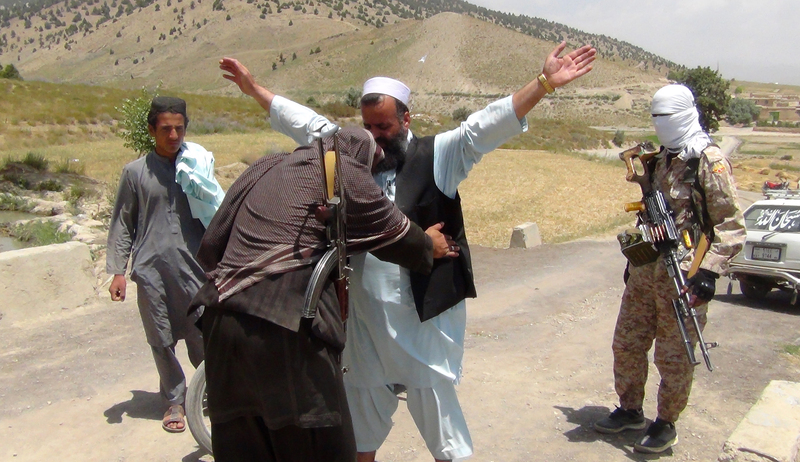 "Utilising financial and arms support they receive from the Russians and Iranians, the Taliban are fighting security forces in Farah, Ghor, Herat and Badghis provinces," a security source in Afghanistan's western regions told Salaam Times on the condition of anonymity. "The money and modern weapons they receive from Moscow have considerably boosted the Taliban's strength in these provinces," he said, adding that the supplies have enabled the militants to capture districts in the westernmost areas of Farah and Ghor over the past two years. "By providing financial and arms support to terrorist groups such as the Taliban and Haqqani Network, Moscow is involved in an undeclared war with Afghanistan," said the source. "Security forces in [western] battlefields have repeatedly found modern Russian weapons used by the Taliban, kinds that are available only to Russian forces," he said. Russia is supporting the Taliban with Russian-made weapons, confirmed Farid Bakhtawar, a member of the Farah provincial council. "The weapons used by the Taliban in this province are very advanced, to the extent that even Afghan security forces in this province do not have access to such [technology]," he told Salaam Times. "Russian support for the terrorists who murder our soldiers and civilians on a daily basis is considered hostile towards the Afghan nation and government," he said. In one operation September 28, Afghan security forces killed more than 30 Taliban militants in Bala Buluk District, Farah Province, and seized various kinds of weapons from them, said Iqbal Baaher, a spokesman for the provincial police headquarters. The equipment included Russian made, laser-equipped night vision scopes that are compatible with sniper, 82mm recoilless and assault rifles, he told Salaam Times. Moreover, Russia has been funding the Taliban with about $2.5 million (170.4 million AFN) a month through fuel sales, the London Times reported earlier this month, citing Taliban sources. Russia has been sending oil tankers into Afghanistan to companies operating under the Taliban for the past 18 months, a 23-year-old Taliban treasurer told The Times. "At first it was just a few tankers to test the system," he said. "But then the numbers suddenly increased so that dozens were coming each month. The Russians give it all to us for free -- we just pay the import duty and then keep the profits [from selling the fuel to other parties]." The fuel scheme is just "one of many" ways Russia is funding the Taliban, he added. The relationship between Russia and the Taliban goes back further than 18 months, according to Mullah Manan Niazi, deputy leader of a Taliban splinter group. "The Russians and Iranians have had relations with the Taliban over the past four years, providing [the group] with financial and arms support," he told Salaam Times. "During this time, they gave the militants tens of millions of dollars in cash, as well as hundreds of different weapons." "Dozens of Russian and Iranian intelligence officials have also met with militant Taliban commanders under the leadership of [Mullah Haibatullah Akhundzada] in Afghanistan," he said. Russia has established an office for the Taliban in Tajikistian headed by Haji Ibrahim, a representative of Mullah Haibatullah, according to Niazi. "Russian troops in Tajikistan provide training to the Taliban and arm them, before deploying them to Afghanistan," he said. Furthermore, weapons used by the Taliban in Farah, Ghor, Herat and Helmand provinces are made at "joint Russian and Iranian arms manufacturing companies", according to Niazi. The weapons are delivered to the Taliban through Afghanistan's borders with Iran and Tajikistan, he said. While Russia's involvement in Afghanistan ostensibly aims to beat back the "Islamic State of Iraq and Syria" (ISIS) Khorasan branch and other extremist groups, Afghan officials say Russia's support of the Taliban is hypocrisy. "The Russians say the purpose of their relationship with Taliban is to fight against ISIS. In reality, however, this is not a fight against ISIS, but just [support for] another terrorist group," said Helay Irshad, a member of parliament representing the Kochi minority. "Russia's support for the Taliban weakens our government and our security forces in the fight against terrorism," she told Salaam Times. "This will also damage achievements of the government and international community during the past 16 years." "Russian support of the Taliban has made the northern provinces -- which had been relatively safe over the past 16 years -- unsafe, to the point where Kunduz city fell to the Taliban twice," Irshad said. "If the Russians truly want to fight ISIS, then the best way ... is to assist the Afghan government and security forces," she said. This has to happen, Russia will take revenge from America for its defeat, but in it's own way. 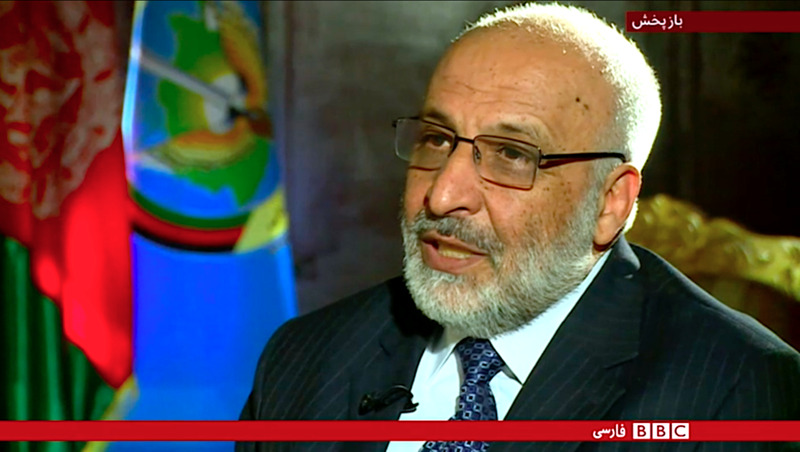 In a recent interview, Mohammad Masoom Stanekzai, the head of Afghanistan's National Directorate of Security, said evidence proves Moscow and Tehran are helping the Taliban. Russia is selling the Taliban advanced weaponry, including laser-scoped sniper rifles, local officials say.